Hello all! I’ve been away for a bit, but I’m baaaack. 2018 has already given me many inspirations for my new writing projects. I am currently working on a new YA fantasy fiction novel that will keep you in suspense, will be action packed, filled with magic and intrigue, and just the right amount of romance to satisfy your sweet tooth. Yes… I’m purposely being vague! Most writers have their own superstitions. For me, I never dish out what my book is going to be about, until I am close to finishing it! So stay tuned this year, as I keep you all updated! In the mean time, what type of books do you enjoy reading? Don’t be afraid to answer in the comments section below! This is the official cover reveal for Q.S. 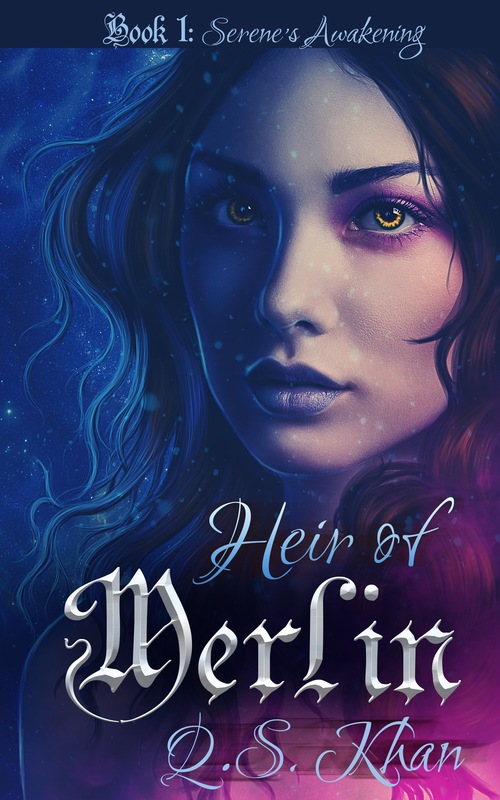 Khan’s novel “Heir of Merlin: Serene’s Awakening,” releasing in early February 2016!